Face masks represent today an increasingly popular trend on social networks, through photos and videos of product applications. Demonstrative selfies aside, let’s go into detail to understand more, as we are used to do at Cypris Mag. If you want to discover the different types of masks, which is their function and the one you need to choose for your skin, keep reading. Face masks have always been a type of product synonymous with hope, in terms of cosmetic treatments effectiveness. In short, these beauty masks are cosmetic preparations to be applied on the face (some even on the body) and can perform different functions, depending on the active ingredients contained in the compound. Diversifying from other types of cosmetic products such as creams, serums, mousses, scrubs and others, face masks have the particularity of allowing a gradual release of active ingredients contained in the preparations, differentiating the absorbing action often due to the presence of powders inside the formulas. In this way it is possible to use cosmetic masks with different functions. It is evident that, depending on the substances contained in face masks, it’s possible to achieve a cosmetic function rather than another. In general, the most important aspect to focus on is that face masks contain a high percentage of active ingredients and, through their gradual release, allow optimal absorption of the functional substances contained in the formula. However, it is necessary to choose the right mask not only for the function that the product is assigned to perform, but also according to the skin needs. Beauty masks: which mask to choose? Broadly speaking, younger skin can opt for a mask with active ingredients that absorb excess sebum, while more mature skin may prefer nutrient and moisturizing masks rich in active ingredients, which perform an anti-age function, to be combined to creams specifically recommended for the function to be achieved. There are also couperose masks that contain protective substances of capillaries and soothing, or anti-fatigue and decongestant masks enriched with Hyaluronic Acid and Vitamin C to carry out an anti-aging action and tone the skin. Given that the function of face masks is always to favor the gradual absorption of the active ingredients contained in the product, you can choose different types of masks, which respond to different uses and needs. masks based on mud and clays. Creamy masks, like the Hyaluro Filler Mask by Cypris, are among the most used masks in the anti-age field. We are talking about formulations in emulsion or paste that are applied to the skin and left in place for a period of about 10-15 minutes. Creamy masks formulas are usually similar to the emulsions used for cosmetic creams with the addition of powders together with specific active ingredients and require residual product mechanical removal with water, after it has dried on the skin. Sheet masks, like the Cypris Adaptive Mask, are beauty masks whose application is allowed by a shaped micro-tissue which is soaked in a serum with very high concentration of active substances to be applied on the face whole part, with the exception of eyes and neck. Sheet masks guarantee an optimal occlusive action that inhibits water evaporation on the skin surface, thus increasing both the moisturizing action and the transepidermal penetration flow of functional substances contained in the product. Moreover, these types of masks can be easily applied and removed, without having to rinse off the product, thus leaving the serum applied to the skin acting for a long time. Gel masks are particularly appreciated for the sensations of immediate freshness and skin instant hydration. Gel masks are characterized by a low oily residue and allow rapid absorption and particularly easy skin cleaning with simple water to remove the residual product after the compound has dried on the skin. 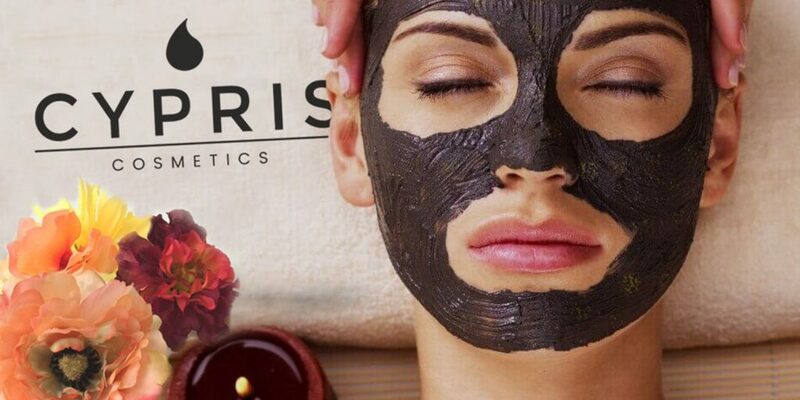 This type of composition has proved to be optimal for the preparation of Cypris Era Gold Black Mask, characterized by the presence of vegetal carbon and by the enrichment of gold microparticles with high antioxidant function, to which specific peptides were conjugated by myorelaxing function. Peel-off masks are classic masks based on alginates, derived from some types of algae, which are mixed with aqueous substances and gel on the skin becoming rubbery. For their preparation it’s necessary to mix the powder with a specific aqueous solution, thus forming a compound which is left on skin to act for a few minutes. Once the product dries on the skin, the applied product layer must be gently and uniquely removed. These types of masks, however, are not suitable for those with very sensitive skin or fragile capillaries, as its removal can be aggressive for some skin types. The moisturizing effect is, however, remarkable, thanks to the complete skin occlusion, to which is added the slightly exfoliating action, tending to remove dead cells and epidermis impurities. Vinyl Peel-off masks are formulated with polyvinyl alcohol or similar polymers and form a very thin film which tends to remain plastic. These types of formulas can be used in the professional field to obtain the effect of extracting comedones, i.e. the sebum with dilated pores. It’s very important to modulate the application of the polymer well so as not to remove the superficial layer of the skin. Although the greater polymer adhesiveness to the skin results in a greater exfoliating effect, the lower amount of water in this type of preparation results in a lower moisturizing effect. Preparations based on mud or clay represent the most remote types of masks, which dry up with the evaporation of water. Once removed, they perform a significant abrasive action, thus removing the dead skin cells. In general, however, it is advisable to apply face masks on average twice a week, to complete a targeted cosmetic treatment based on the needs of your skin.